What better way to start 2017 than to be creatively inspired. The results of my 10th annual Best of Photos project hopefully will do just that by introducing you to photographers and their work from all over the world. Many of my blog readers are photo enthusiasts and many are seasoned professionals, but the great thing about photography is that no matter what your experience level we all can relate equally in our love for the art of photography and visually exploring. With that in mind I encourage you to reach out to photographers whose work you enjoy to keep sharing & growing as an artist. I am incredibly thankful that this tradition has been embraced and enjoy seeing how familiar faces have evolved their work & grown over the years. I hope reviewing your best photos of the year and comparing them to years pasts keeps you inspired and aware of your progress as a photographer. Richard Murphy – Best of 2016! Helly Sellers – What a year! A beautiful list again, Jim. Thank you so much for putting this together. I know it takes significant effort on your part. Happy 2017! Thank you for putting together this wonderful list. 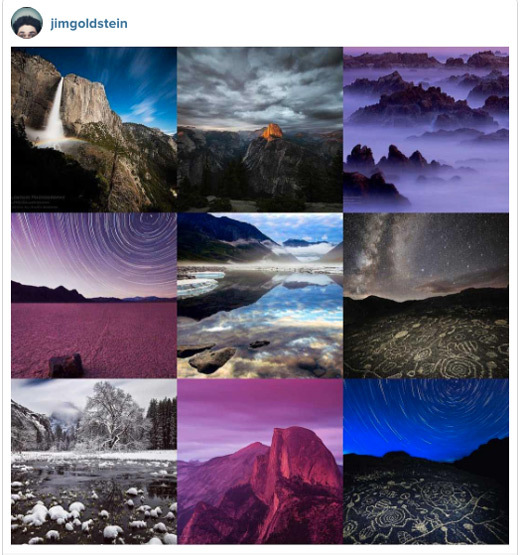 Jim, thank you so much for doing this and for your kind words about my work. This is a great compendium of photography to browse through! It's a privilege to participate in this project again, Jim. This has become a tradition I look forward to every year! Thanks for including mine! Thanks again for all the work that goes into making this list each year Jim. A lot of work by great photographers here to look through! Jim, thanks for all your effort putting this together. I love going through all these amazing collections! Lots of inspiration out there. Thanks for all your hard work putting this together, Jim! It's a really great list and a lot of good inspiration. Thanks once again Jim for posting our yearly selections! Thanks for including my selection, and for the hard work that goes into this Jim. Now, let me get to work checking out some of the other folks featured! Thank you for including me in this great selection of creative persons! Wish you all a great new creative year! grate creativity. ultimately its inspired other people. Excellent collection thanks for share this. You have created a nice list of photographer. So thank you very much and I am happy to see that your 2016 the best Instagram photos, I hope that you will never stop your working style. Amazing selection! All the photographers are highly creative here. You put all of the great work here. Its will inspire newbies a lot.